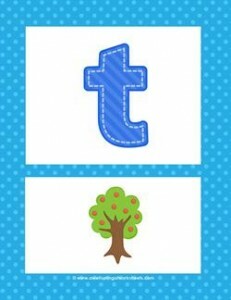 Trees have many uses: you can plant one, climb one, pick the fruit off of one … or use one on an alphabet poster for lowercase t! Read the letter t and sound it out /t/. Please go to this page to see all the lowercase alphabet posters in this set.